I'm 47 years old and this week I had a hot flush ... or at least I thought I did. Until The Man pointed out we still had two duvets on the bed and it was one of the hottest nights of the year. But still, it COULD have been a hot flush which sent me into a spiralling panic about *whispers from behind hand* the menopause. And it occurred to me that I knew absolutely less than nothing about it, apart from the hot flushes and growing a beard. Maybe. Hitting puberty is an much more we're-all-in-this-damn-thing-together episode and swathes of hormonally-addled teens are given classes in school to prepare them for the "journey." When I was young, I even got a jolly little book, presumably from the government, which mostly said don't panic and keep clean. At the other end of the spectrum (and speculum), the menopause is just waiting to happen and no bugger is going to tell you anything about it until it does. I managed to resist Googling the menopause for just exactly the length of time it took me to turn the laptop on, but as the first three drop down options were "menopause symptoms," "menopause, depression" and "menopause, arthritis" I turned it off again. Girding, by now in my own mind, shrivelling loins together, I Googled again and, while speed-reading, site-hopping and occasionally wincing, I determined that The Menopause can start at ANY AGE to be honest, can last for YEARS *shocked face* and generally sounds a whole load of NO FUN. It's no wonder they don't run classes on it, women would be on anti-depressants for, well, all their life. 1: How soon will they give me HRT? 2: Will I suddenly get the urge to wear Amercian Tan Tights, a twinset and lace up shoes? 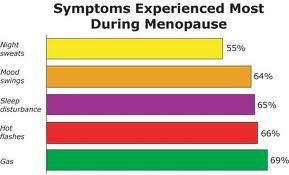 So I've decided not to have a menopause at all. Well, not just yet.